In this episode of Entertainment Law Update, Entertainment lawyers Gordon Firemark and Tamera Bennet review the latest cases and controversies in the entertainment industry. Alert for Reality TV producers. Filming or photographing celebrities’ kids will soon be a crime. Should celebrities' kids be off-limits for photographers and video crews? A California law set to go into effect next January makes it a criminal offense to take photographs or videographic images of a star's child under some circumstances. The new law is codified at Section 11414 of California's Penal Code, and imposes fines and even imprisonment as penalties. First offenders face a maximum $10,000 fine, plus jail time. A second violation carries a five-day jail sentence and a maximum $20,000 fine. A third offense? 30-days in the clink, and $30,000 fine. And, the law creates civil liability, too. A lawsuit by the parent or guardian could include punitive damages. State Sen. Kevin de Leon introduced the bill, which provides strong protection for minors under age 16 who are children of celebrities are protected against individuals who intentionally harass a person's child “because of that person's employment.” The law defines harassment as intentional conduct that “seriously alarms, annoys, torments or terrorizes” the minor and “serves no legitimate purpose.” Encompassed within the definition is “conduct occurring during the course of any actual or attempted recording” of the child's image or voice by following the youth without parental permission. Media and Free Speech advocates have raised concerns that the new law is unconstitutionally vague and overbroad, and is likely to catch too many people engaged in protected newsgathering activities in its net. The law, apparently, even applies to shooting in public places, where neither celebrities nor their kids have historically been entitled to a ‘reasonable expectation of privacy'. Finally, we should note that the law does NOT apply to photographers who harass, alarm, annoy, etc., kids whose parents aren't famous. Did California lawmakers really just legally define celebrity kids as a different class of citizens with broader rights than the rest? Obviously, the law was created to address a problem. Celebrities' kids are being deprived of the opportunities other kids have to just be kids. But this law strikes me as being a bad one. Freedom of the press is among our most important rights. Attempts to curb press and media activities should always be suspect. I'd be surprised if the media rights organizations don't jump on this one quickly, the first time the law is enforced. Until then… we'll watch and see. What do you think about all this? Leave a comment below! 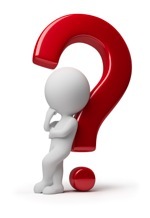 Asked & Answered: Do I need a contract with the author of an article or book about true events. Why the Managers are suing California over the Talent Agencies Act. The REAL business of television. Don’t lose sight of what the product is.